Theme Park capital of the world. Everyone knows Orlando by its amazing amusement parks: Walt Disney World, Universal Orlando, Sea World, Legoland... There are so many parks to visit and enjoy. The magic of Walt Disney World awaits you at its 4 theme parks and 2 water parks. What else can be said? Magic Kingdom was visited by over 20 million people in 2017. Universal Orlando Resort: 3 theme parks and endless fun with your favorite superheroes, amazing rides and the Wizarding World of Harry Potter. Sea World Orlando has the tallest, fastest and longest roller coaster in Orlando. Of course, you can learn about marine animals through their exhibitions and shows. 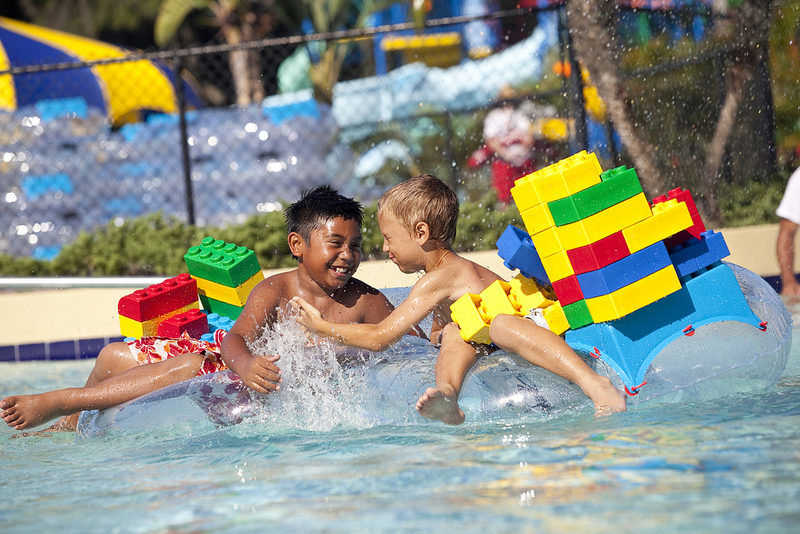 Legoland is the perfect park for kids under 12. Its rides were specially created for the little ones of the house. ICON Orlando 360 offers the best panoramic view of Orlando skyline from the tallest observation wheel on the East Coast. Besides, there’s a whole complex of stores, restaurants, and entertainment around the Orlando Eye. Kennedy Space Center: the greatest space adventure on Earth. Join the journey at the gateway to NASA’s past, present and bold future. 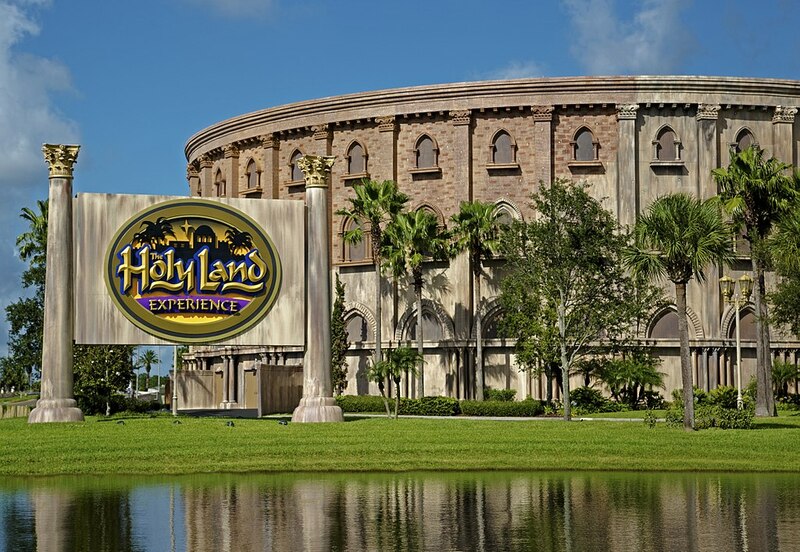 Holy Land Experience brings the Bible to life through entertainment, interactive story-telling and showcasing rare Biblical artifacts not seen before. 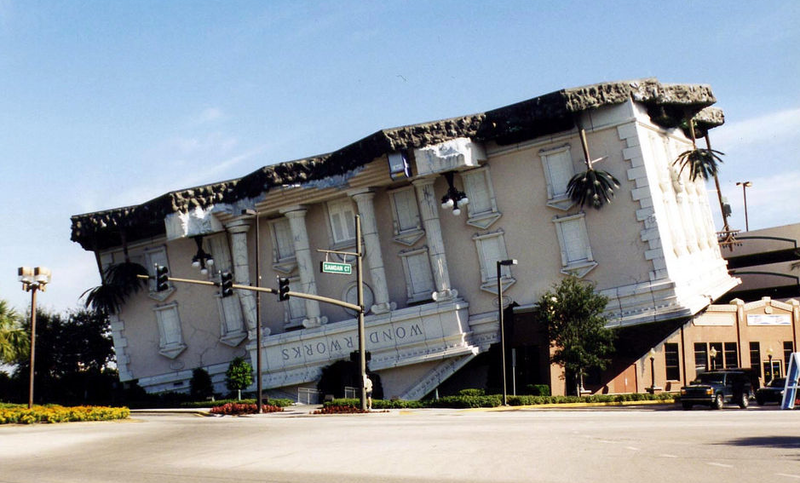 WonderWorks is the amusement park for the mind, 35000 square feet of educational entertainment with exhibits that challenge the mind. What else can be done in Orlando? Also, Orlando is home to some of the world’s best golf courses. There are roughly 200 in total, ranging from lavish five-star resorts to bargain and family-friendly courses. You can also find PGA Tour events, countless golf colleges, mini tours and the PGA Merchandise Show. Premium shops at discount price? Absolutely! Shop Orlando Vineland Outlets 160 designer and name-brand stores or Lake Buena Vista Factory Stores, 50 popular designer and name-brand outlets. And the largest is Orlando International Premium Outlet with 180 stores. At this park, there are LEGO-inspired rides and activities for all ages, but it is specially designed for families with children ages 3-12 and Lego fans. 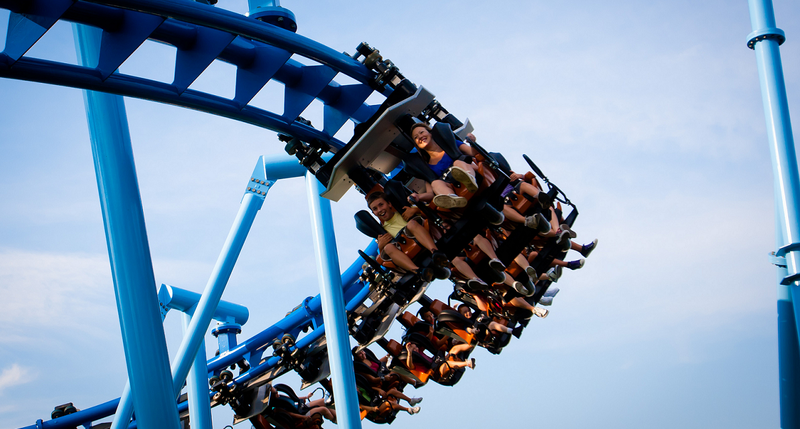 You’ll find family-friendly coasters like The Dragon, The Great LEGO Race, Flying School and Coastersaurus, as well as interactive adventures like LEGO NINJAGO: The Ride, Lost Kingdom Adventure and Kid Power Towers. Nevertheless, the most impressive part of this theme park is its Lego Sculptures. Made with over 32 million LEGO bricks, Miniland USA contains amazing scenes from coast to coast: Las Vegas, San Francisco, New York, Washington DC, and of course, the Sunshine State: Florida, including a re-creation of the Kennedy Space Center! There’s an entire zone dedicated to Star Wars with a giant display that features memorable movie moments re-created with LEGO bricks and enhanced with lights, sound effects and animation. Don’t miss the water ski show at Pirate’s Cove. In this show that involves water skis, jet skis, and boats, you’ll witness the battle between Miranda Valentina and the pirates to possess the famous ship Brickbeard’s Bounty. As any good water park, it has a wave pool and plenty of slides like the amazing 375-feet-down Twin Chasers or the Splash Out trio of slides. You can also build your own unique LEGO vessel while floating around the 1000-foot-long lazy river at Build-A-Raft River, learn how to captain a mini-vessel at the Boating School, and build and race your own watercraft at Creative Cove at Built-A-Boat. Looking for the best attraction for toddlers? Duplo Splash Safari is the perfect zone for children under 6, with shorter slides and interactive DUPLO creatures. And, at Joker Soaker there’s an interactive play area with slides, climbing areas, water spouts and wading pool. A thrilling tour through NASA’s space journey eras. The Complex is organized into mission zones that reflect the specific achievements accomplished and everything related to them: attractions, tours, astronaut appearances, and shows. Join the journey where the Mercury, Gemini, and Apollo missions inspired a generation and see the mighty rocket that won the race to the moon fulfilling the dreams and imagination of humankind. There are two full-day programs: Astronaut Training Experience and Mars Base 1. Astronaut Training Experience offers the opportunity to train like an authentic space explorer in future missions in Mars including launching, landing and walking on the red planet. At Mars Base 1, Rookie Astronaut teams have the amazing opportunity to manage the Base Operations Center on Mars, harvest vegetables in the Botany Lab, program robots to optimize solar energy intake and adapt to the challenges of thriving in the harsh Martian environment. If you don’t have enough time for a full-day program, there’s an option to add a Training Stage to your visit. There are two training stages: Spacewalk Training and Mars. At Spacewalk training, you’ll experience the sensation of conducting a spacewalk in a microgravity environment while Mars exploration simulators will let you drive over the rough Mars terrain from the Commander and Pilot seats. With a height of 400 feet and weighing 3 million pounds, ICON Orlando is the tallest observation wheel on the East Coast. The idyllic Orlando skyline awaits here for you to create a memory you won’t forget. You can book one of their 30 capsules for a romantic date night or a peaceful joyride with the family. Near the Orlando Eye, you’ll find the tallest StarFlyer in the world. It clocks in at 450 feet tall and rotates 360 degrees at speed up to 45mph. You’ll be able to enjoy the ride in a double seat next to your companion, always secured by seat belts and harnesses that can only be unlocked by the ride operators. Around these rides, there’s a whole shopping and entertainment complex called I-Drive 360. It includes Madame Tussaud Wax Museum, the amazing 7D Dark Ride Adventure, arcade games, mini-golf, bowling alley... At this area, you’ll also find “Skeletons: Museum of Osteology” that has over 40 exhibits featuring 500 real animal skeletons. Sea Life Orlando Aquarium will allow you to observe the most amazing creatures of the seas, from the curious and rescued to the rare and the enigmatic. Watch as fish, sharks, and turtles swim above, beneath and around you through the only 360° tunnel in Florida. But the fun doesn’t end there. There is much entertainment to enjoy: music shows, comedy shows... and the amazing Sleuths mystery dinner show. Furthermore, there are plenty of restaurants and shops in this area and some unique experiences to discover, like iFly Indoor Skydiving, in which you can enjoy the thrill of flying without having to jump from an airplane. The Holy Land Experience is a living, biblical museum and park that brings the world of the Bible to life!. It combines the sights and sounds of the biblical world in a unique and interactive way, unlike any other location! The Wilderness Tabernacle allows you to relive the journey of Aaron as he passes his legacy of priesthood onto his son, Eleazar. Watch the young boy embrace the challenge of answering his true calling. The Scriptorium exhibit offers a 55-minute tour, where biblical documents are displayed as well as an explanation of where they originated. You will gain a dramatic understanding of the history of the Bible and its parallel to the history of civilization. At Lazarus’ house, you’ll see God express His heart to the family of Lazarus, and witness the incredible moment of his resurrection. Don’t miss the chance to visit the largest indoor replica in the world of Jerusalem (A.D. 66), and see where Jesus walked, ministered, healed, and performed other miracles. At Church of All Nations auditorium, there are four live shows. “Redeeming Love” will let you discover Bible heroes through a live stage musical. “Unwavering Courage” will take you to Persia to witness the story of Queen Esther. “Unfailing Grace” will show you how the Christians are captured by the Romans and imprisoned in the Circus Maximus. And finally, in “Eternal Hope” you’ll see how Peter recounts some fundamental moments in his walk of faith. For the little ones, Smile of a Child Adventure Land is the place where they can have their faces painted, practice rock-climbing, enjoy the Trin-I-Tee Mini Golf or play special crafts inside the Smile of a Child Theatre. Everything here is upside-down so step inside the inversion tunnel and be turned right side up to begin your journey! This “amusement park for the mind” has 6 wonder exhibit zones: Natural Disasters, Physical Challenge, Light & Sound, Space Discovery, Imagination Lab and Far Out art gallery. At Natural Disasters area, Earthquake Café will let you relive the quake that hit San Francisco Bay with a magnitude of 5.3 on the Richter scale. Whilst Hurricane Shack will wrap you in hurricane force winds up to 74 mph. At the Physical Challenge zone, you can create a 3-D copy of your body on a wall made of 40000 plastic pins, play Mindball (a bio-feedback game based on EEG technology), test the power of pulleys and create gigantic bubbles. Light & Sound area will test your speed and reflexes pressing lighted up buttons, and let you display your musical skills on a giant piano jumping from key to key. Space Suit zone will allow you to see an authentic astronaut suit, climb into a replica of Mercury Project capsule (first human spaceflight program of USA), try to land the Discovery shuttle from a simulator and train as an astronaut into a 2-person gyroscope that simulates the effects outer space has on humans. At the Wonder Coaster, you can design your coaster as you like and then ride and enjoy its 360º pitch and roll virtual ride. Imagination Lab has an interactive exhibit that allows guests to experience the real work of a forensic scientist in three areas, fingerprint identification, 3D facial recognition, and 3D Facial imaging and reconstruction. To get up to the basement you will pass through Far Out Gallery. Throughout the attraction stairwells, you will notice several pieces of illusion artwork covering the walls. Finally, when you get to the basement, you’ll find a three stories glow-in-the-dark “indoor ropes challenge”, a black-lit Laser-Tag and a 4-D XD simulator ride. On top of that, Wonderworks hosts “The Outta Control Magic Comedy Dinner Show”, an all-ages show full of magic, impersonations and improvisations that will cheer up your dinner. Don’t miss it! The Orlando Vineland Premium Outlet offers 160 designer and name-brand outlets including Barneys New York, Burberry, Coach, Crocs, Gap Outlet, Guess, Lululemon, J. Crew, Nike, Salvatore Ferragamo, Lacoste, The Beauty Space, Hugo Boss and Ted Baker. Visitors can shop 180 designer and name-brand outlets at stores like Coach, J.Crew, Lacoste, Last Call by Neiman Marcus, North Face, Saks Fifth Avenue Off 5th and more. With stores like Ann Taylor LOFT, Lindt chocolates, Calvin Klein, Disney, Gap, Express, Old Navy, Guess, Levis, Carter's, Osh Kosh, Nike, Nine West, Samsonite, Tommy Hilfiger and Under Armour. A 2 1/2 hour long show where you’ll be the detective in charge to solve the crime. The menu here consists of hors-d'oeuvres, salad, a choice of entrees, dessert and unlimited beer, wine and soft drinks. Once you enter in one of the tree intimate theaters and try the appetizers, you have to pay attention to the hilarious comedy mystery where all the clues are presented. After that, while you enjoy your dinner, your table team can formulate questions for the live interrogation. After dinner, the detective will use teams questions to uncover additional clues. During the dessert time, you have to make your final guess as to who committed the crime, then the detective finally unveils the actual criminal and awards fun prizes to the ones who solved the mystery. Knocking three times and giving the secret password will open a door to Chicago in the 1930’s. Capone’s offers a new show full of laughs, gangster action, audience interaction and toe-tapping musical productions. This dinner show offers a buffet of foods and beverages (alcoholic drinks included) and a fun show where singing, dancing, and stand-up comedy are the main characters. What’s on the menu? The best Italian and American gastronomy. At the salad bar, you’ll get fresh seasonal vegetables and toppings. Go to the Pasta bar, choose the pasta type, your favorite sauce and enjoy. Hot and Tasty Buffet offers you meat lasagna, New York style pizza, Italian meatballs, mixed vegetables, chicken cacciatore, turkey gravy, and much more. Finally, at Meat Carving Station, you can get some smoked turkey, London broil steak or herb, and cheese-stuffed roasted pork tenderloin. What about the show? A colorful cast of crazies at Capone's dinner theatre guarantees a great time. Handsome mobsters and talented gorgeous dames shine in this unforgettable production with nonstop surprises, a gangster shootout (with a chance to win prizes) and a hilarious ending. Be prepared for this experience because everybody can be involved in the action.